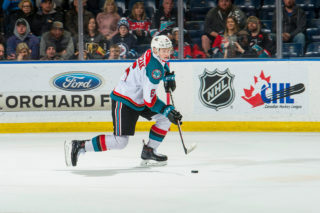 Central Scouting revealed its final list Monday morning of the top North American skaters and goalies, and top International skaters and goalies, with five Rockets on their final listings. Finnish defender, Thomson had a breakout season as a rookie, his 41 points (17G-24A) led WHL rookie d-men in all three categories. 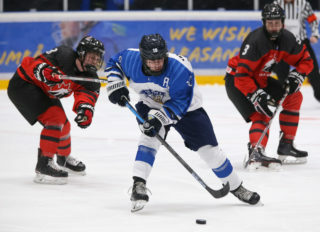 He was invited to Finland’s World Junior camp but was a late cut. Thomson then suited up at the Sherwin-Williams Top Prospects Game in Red Deer on Team Orr back in January. 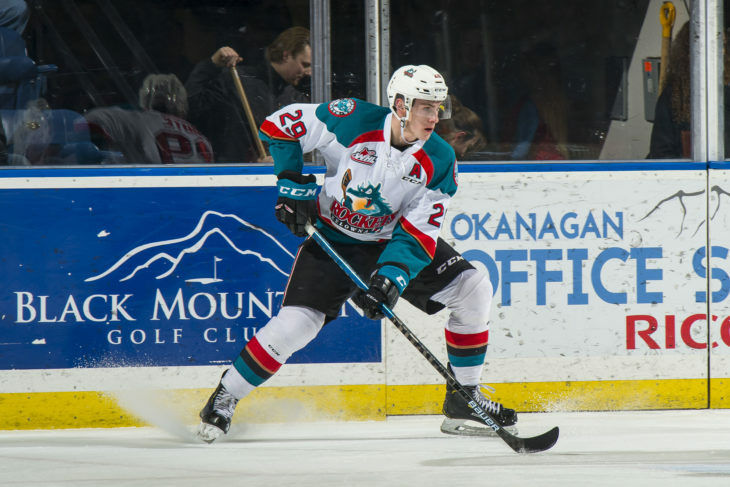 He took home the Rockets award for Rookie of the Year – Sponsored by CapriCMW last month, the WHL also named the 5′ 11, 190-pound defender to the Western Conference Second All-Star team. 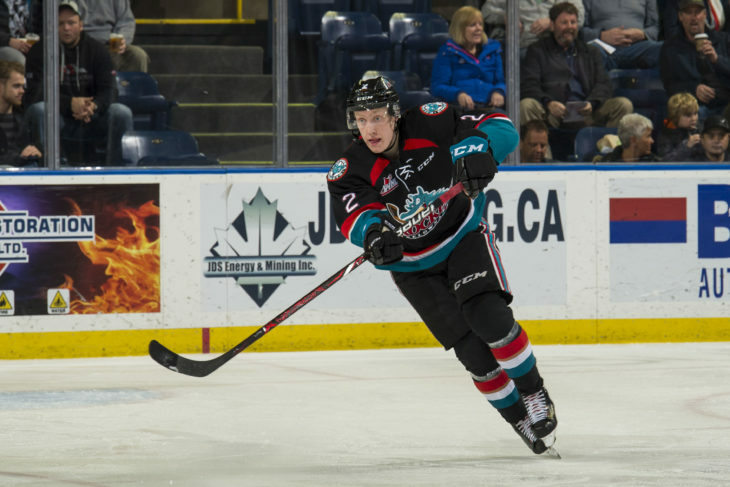 Thomson was also named the Western Conference Rookie of the Year; he will be up against Eastern Conference Rookie of the Year, Brayden Tracey of the Moose Jaw Warriors for the WHL Rookie of the Year (Jim Piggott Memorial Trophy). 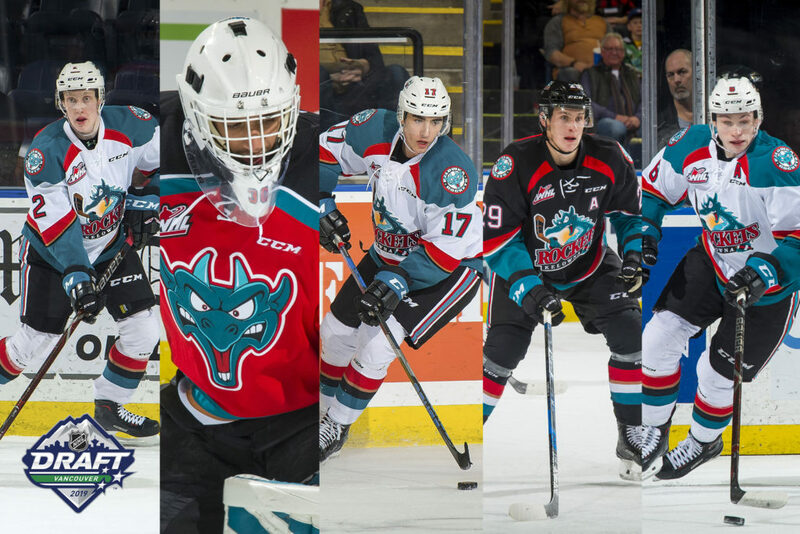 Korczak took home the Rockets Top Defenceman award – Sponsored by Melcor Lakeside Inc. last month. He suited up in all 68 Rockets games this past season, setting career highs in assists and points; he had four goals and 29 assists, giving him 33 points. 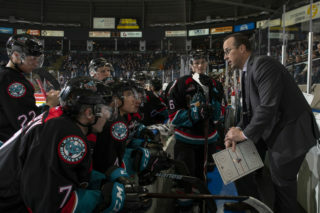 The assistant captain was counted on in all situations this season for the Rockets. He played alongside Thomson on Team Orr at the Sherwin-Williams Top Prospects Game. The Yorkton, Sask. 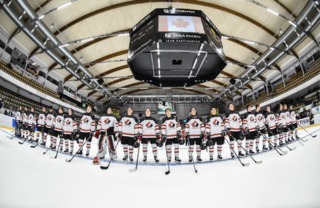 product is currently auditioning for Hockey Canada at the 2019 IIHF U18 World Championship in Sweden. Foote’s 36 goals this past season led the Rockets in goals scored, 17 of them came on the power play. The assistant captain was second in team scoring with 63 points (36G, 27A), he lead the team in shots on goal this season with 236. 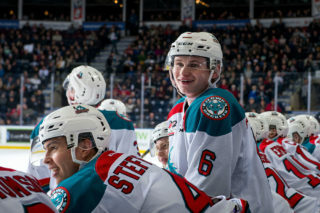 He was named the Rockets Most Valuable Player – Sponsored by MacDermott’s Mens Wear last month. 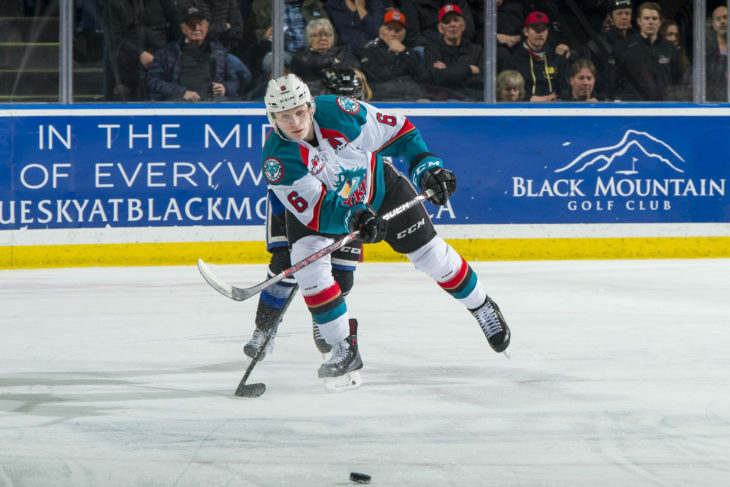 The 18-year-old had a busy year, he put his talents on display for Team WHL at the CIBC Canada/Russia Series in October and Team Cherry at the Sherwin-Williams Top Prospects Game. The big centreman seemed to ease into his role as the season wore on, with the coaching staff depending on the rookie in all situations. 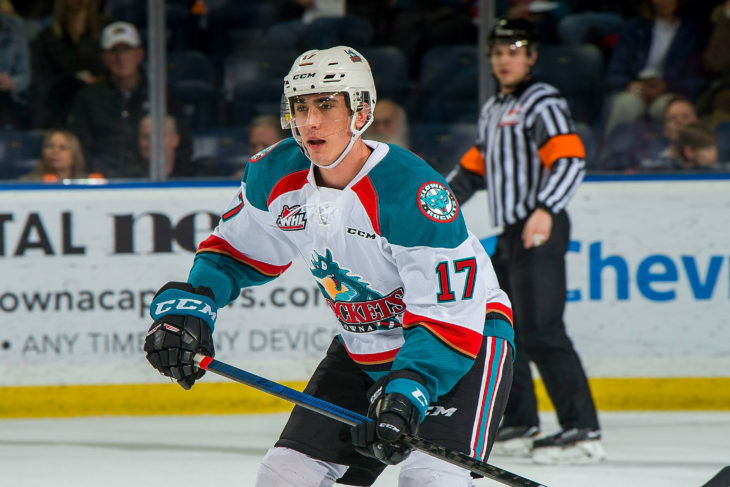 He finished off his rookie season in the WHL with 14 points (6G, 8A) in 32 games. 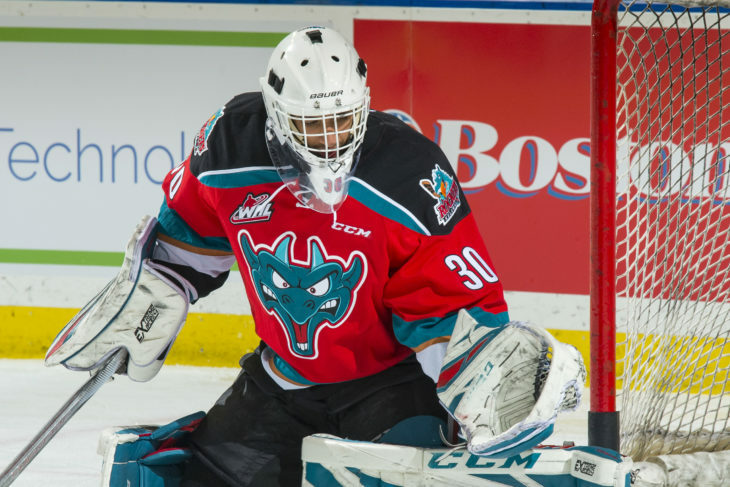 The 6’1, 195 pound Vancouver product had a 2.79 GAA, and .906 save percentage. Next up will be the 2019 NHL Scouting Combine presented by adidas, featuring the top 109 draft-eligible players from North America and Europe, in Buffalo in May. The NHL will host a media availability with select 2019 NHL Draft Top Prospects on Friday, May, 31, followed by the fitness testing portion of the NHL Scouting Combine on Saturday, June 1. The 2019 NHL Draft will take place at Rogers Arena in Vancouver on June 21-22.